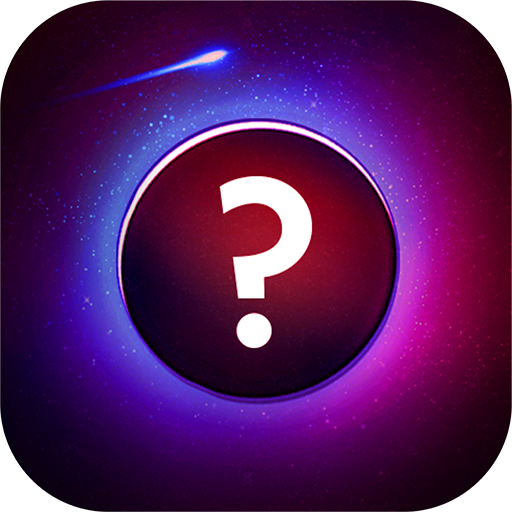 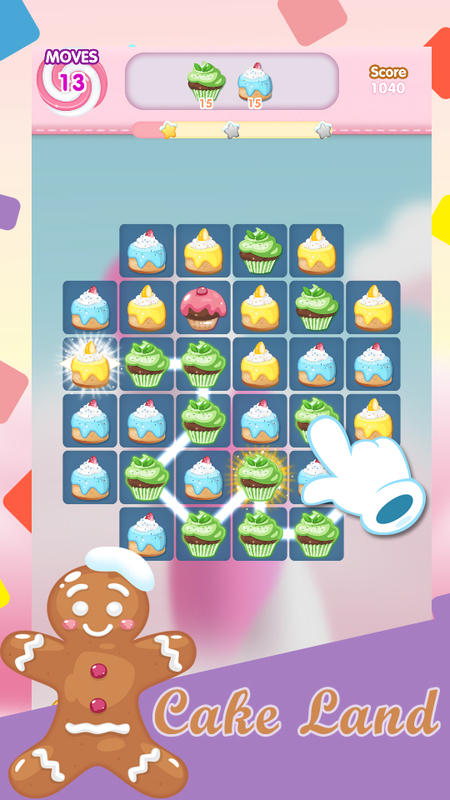 Cake Land, an addictive fresh cakes connect line puzzle game brings tons of joy and challenges! 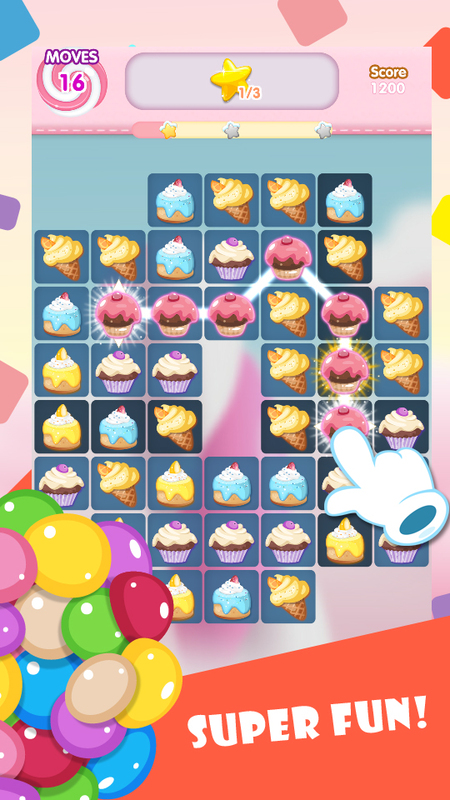 Connect the cakes to create blasters, play your way in the adorable cake land! 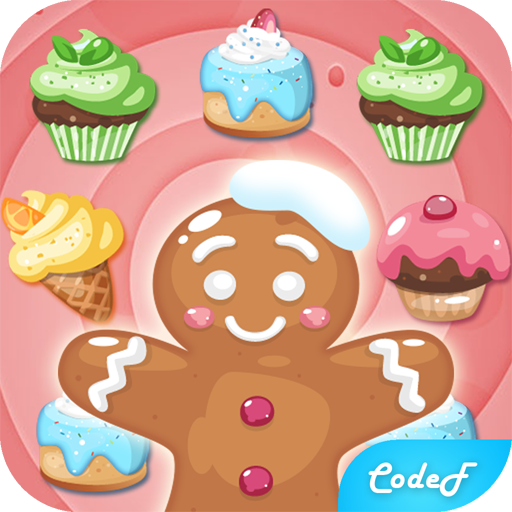 Come and join in the fantastic joy with the ginger bread man! 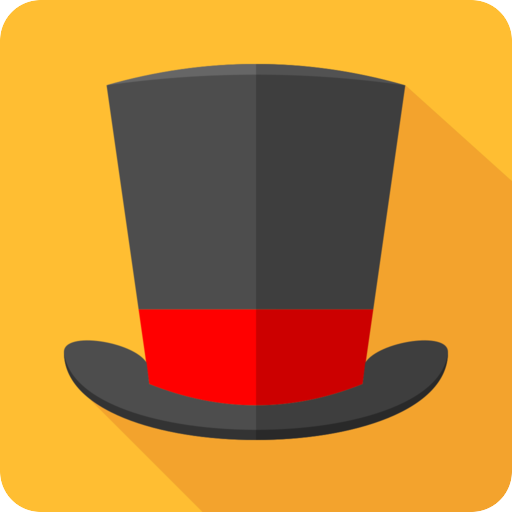 Let the little man brighten up your day! 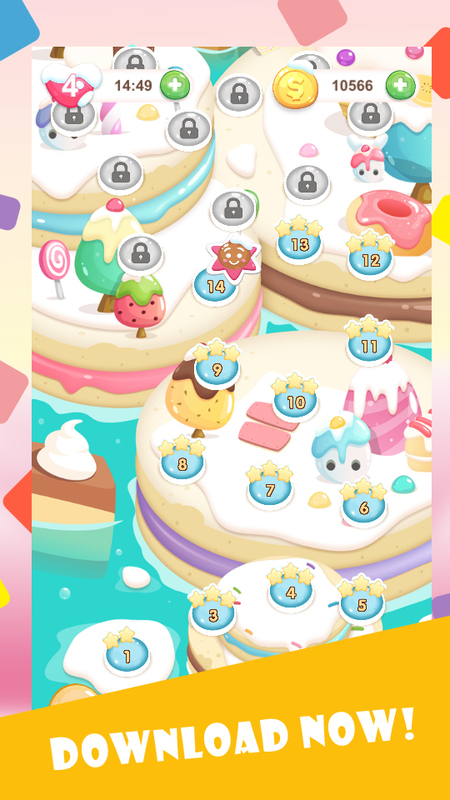 Challenging tasks, including free captured fruit, remove time bomb, clear mud, bring down nut, etc! 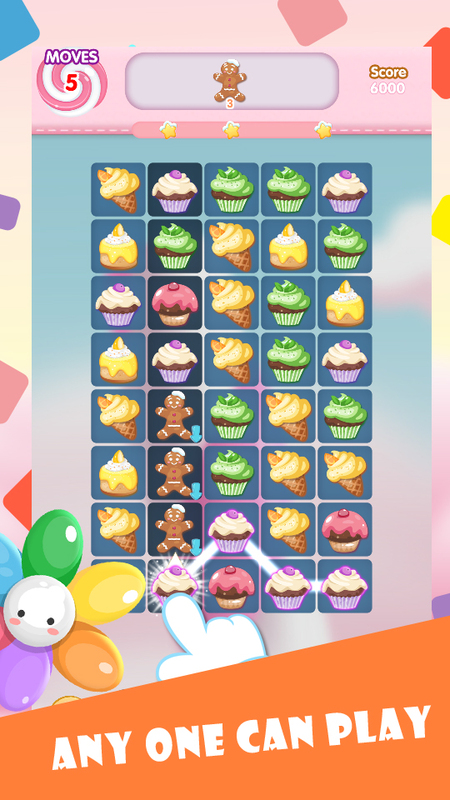 Connect the cakes in group of 3 or more to collect. 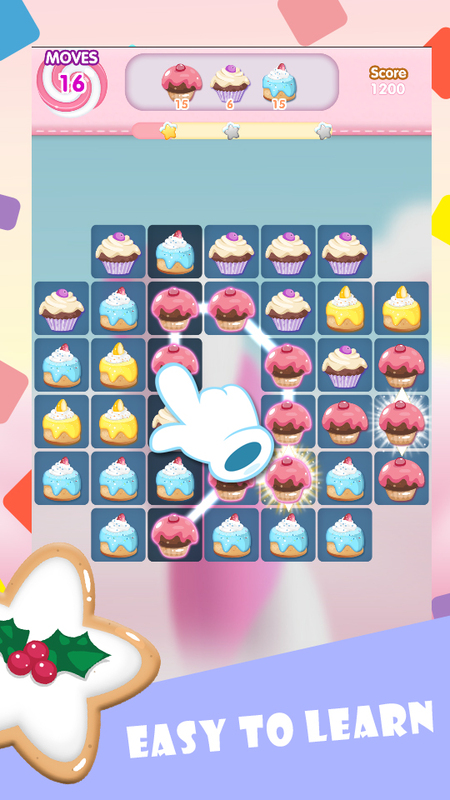 Connect the cakes in group of 6 to make a super cake.